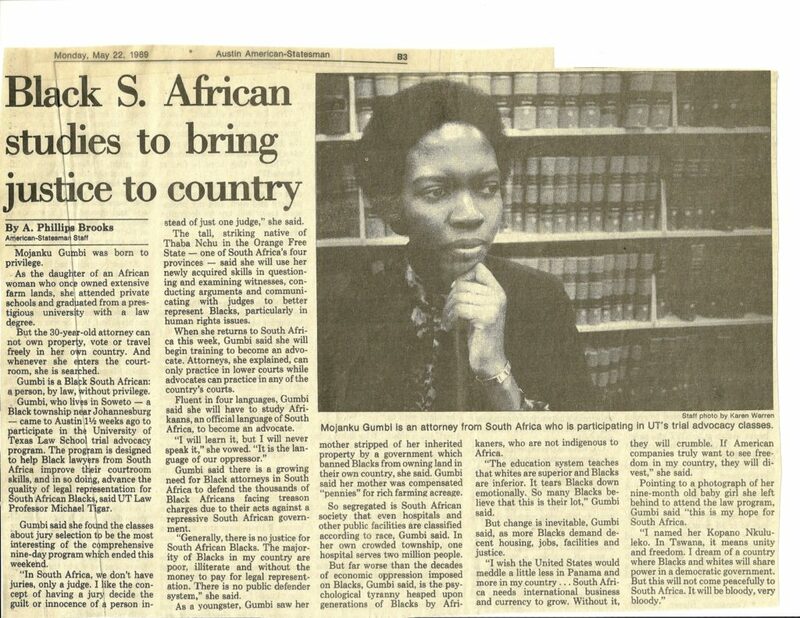 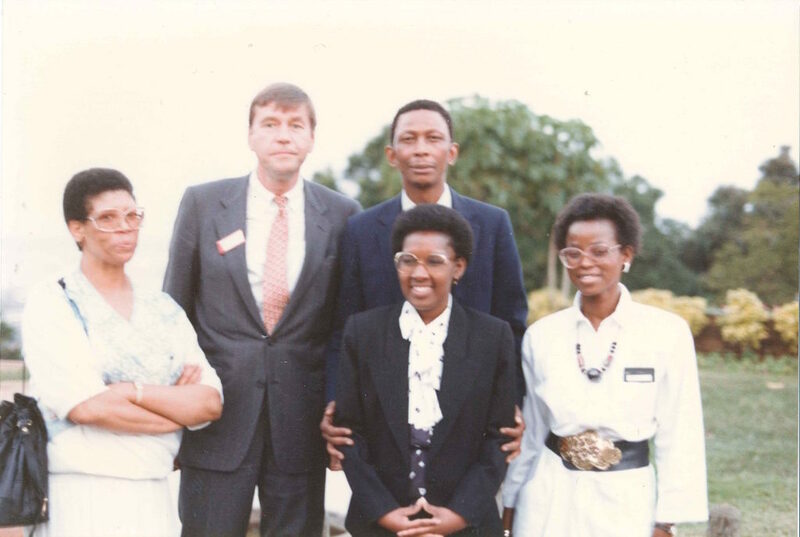 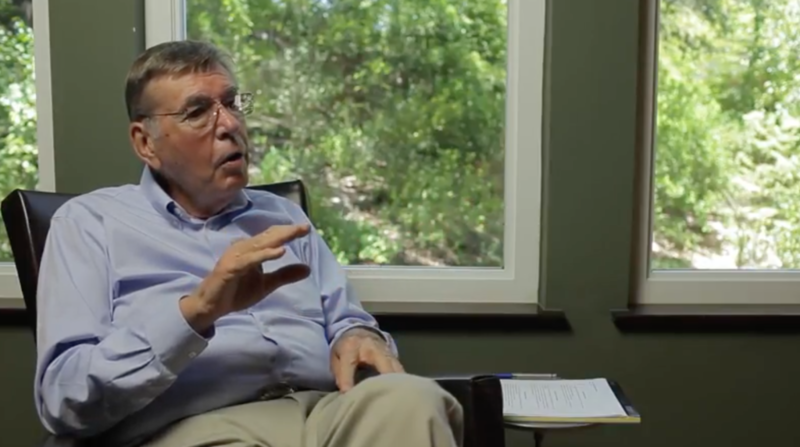 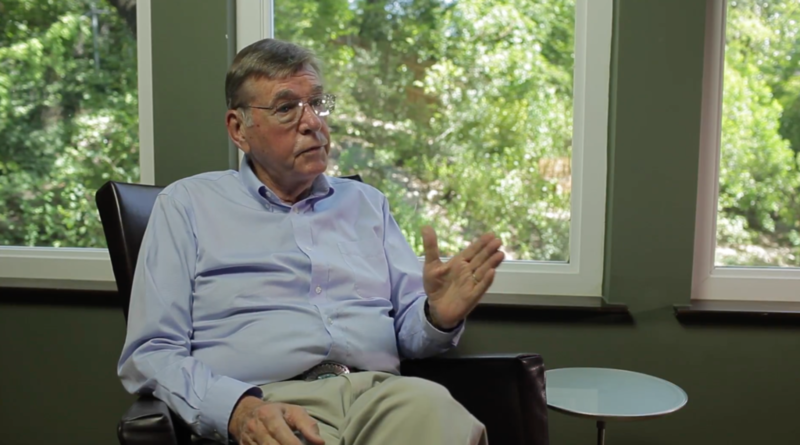 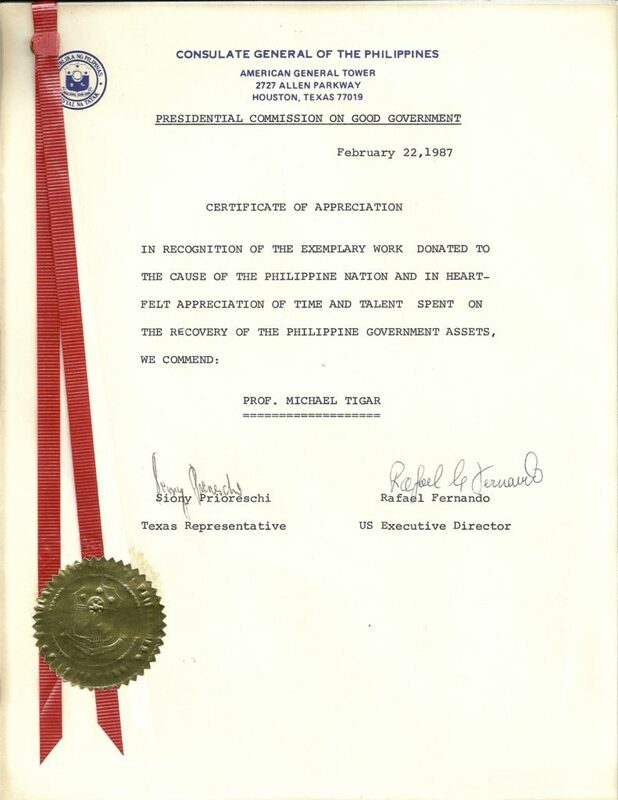 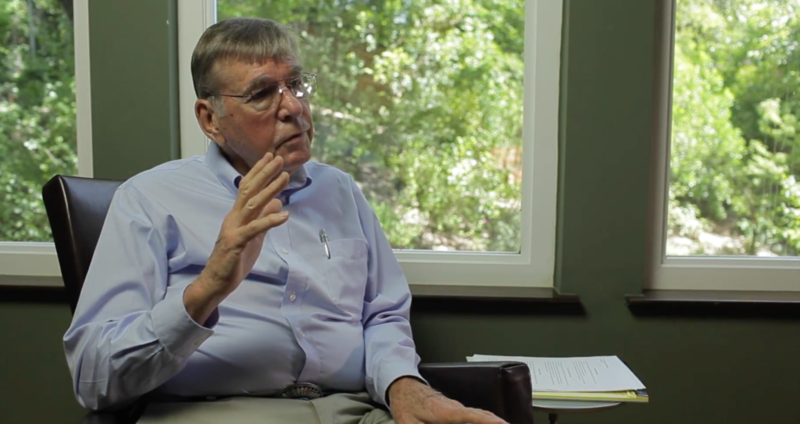 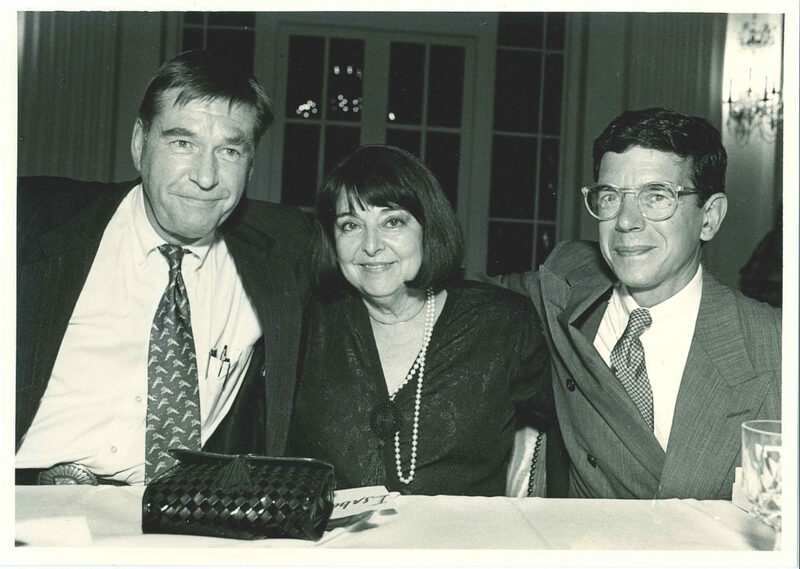 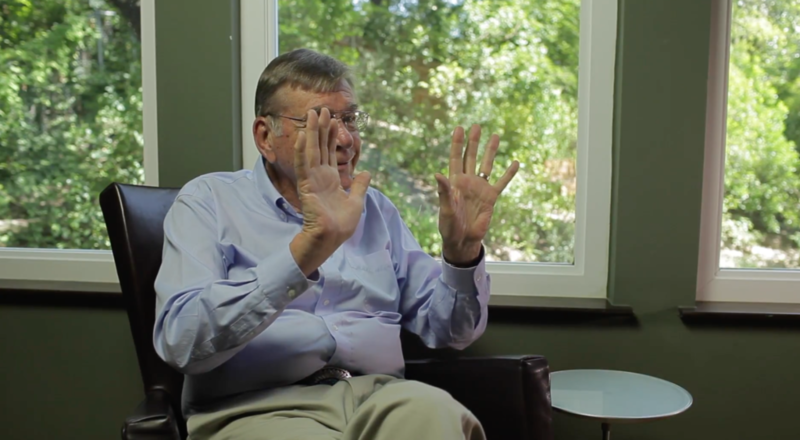 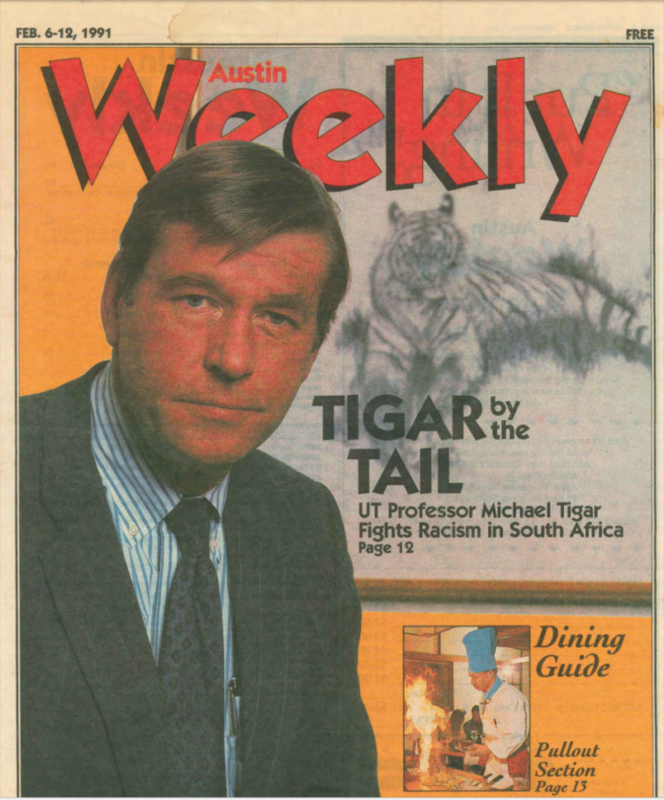 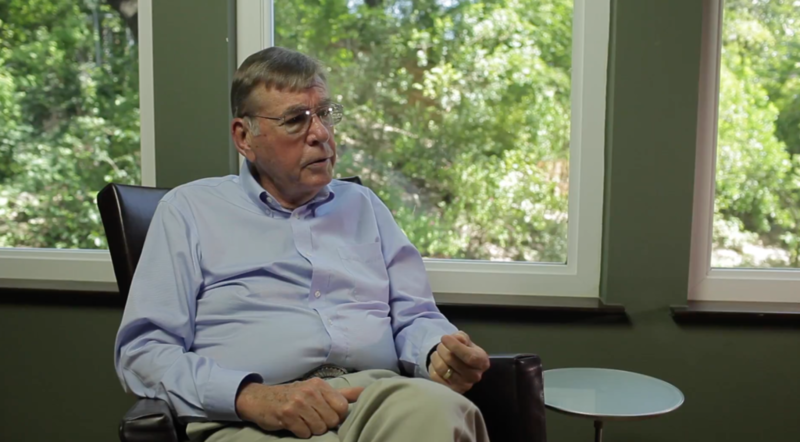 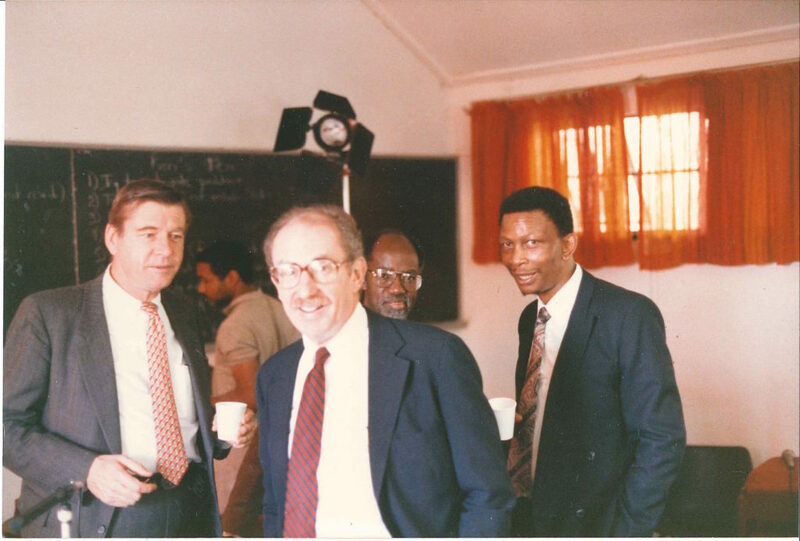 Michael Tigar would say that he became a lawyer because he “wanted to participate in the struggle for human rights.” He demonstrated this commitment early on through his domestic legal work, particularly on racial justice and civil liberties. 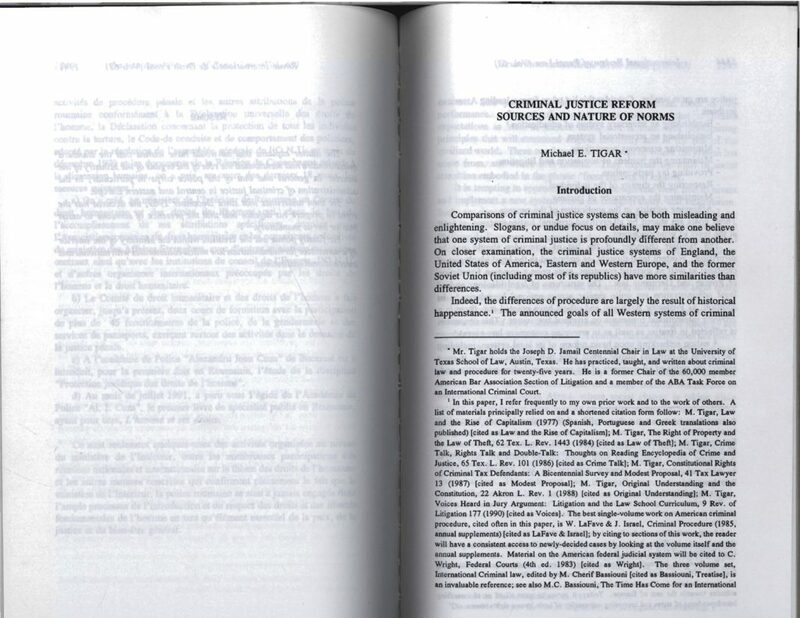 He also drew linkages among those issues, United States foreign policy, and international law. 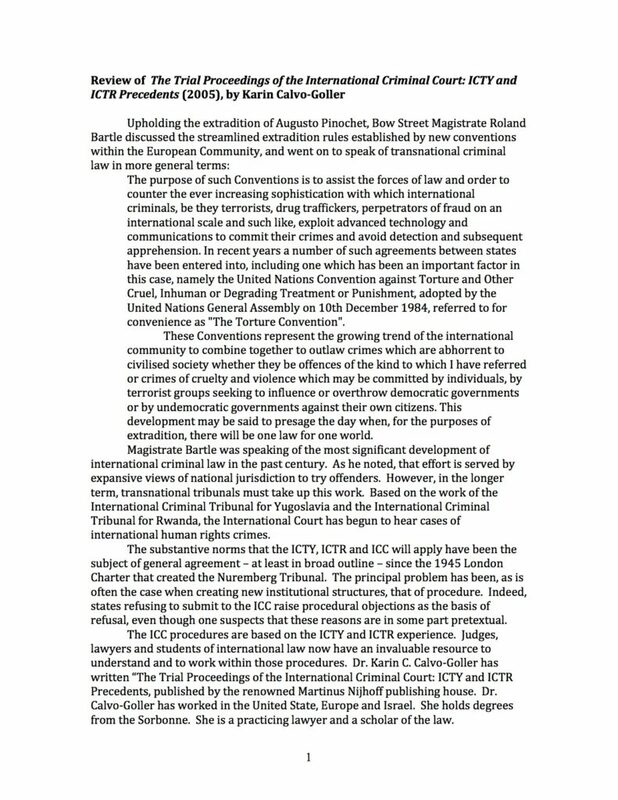 His law school Valedictory Speech, for example, argued that the Vietnam War violated international law and criticized the US for not acting in accordance with the values of the UN Charter. 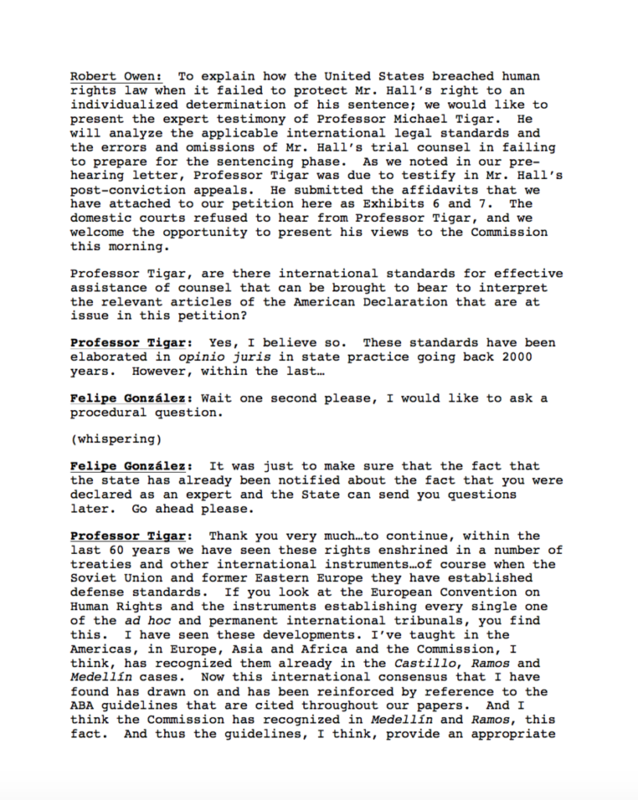 Tigar would later turn to international human rights law directly in both his scholarly work and practice. 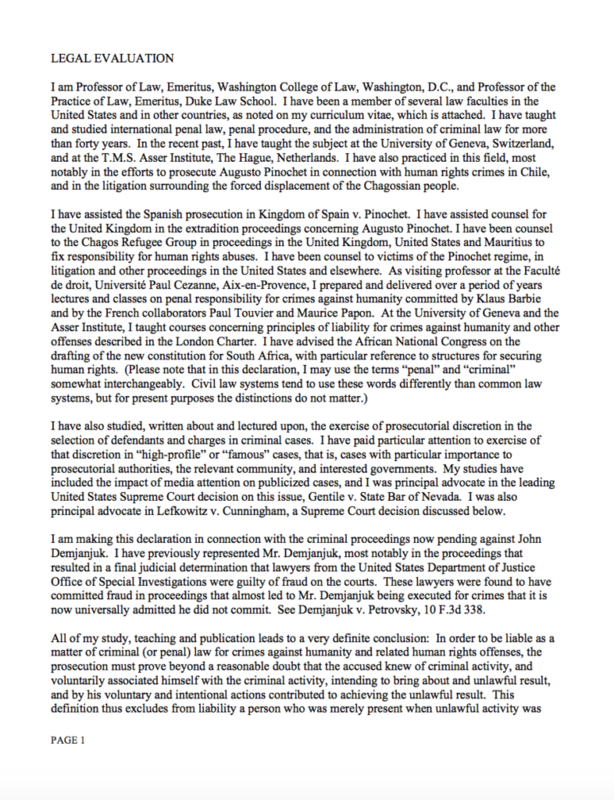 Since 2000, much of his human rights litigation has been conducted through the clinic he established at the American University Washington College of Law, the UNROW Human Rights Impact Litigation Clinic. 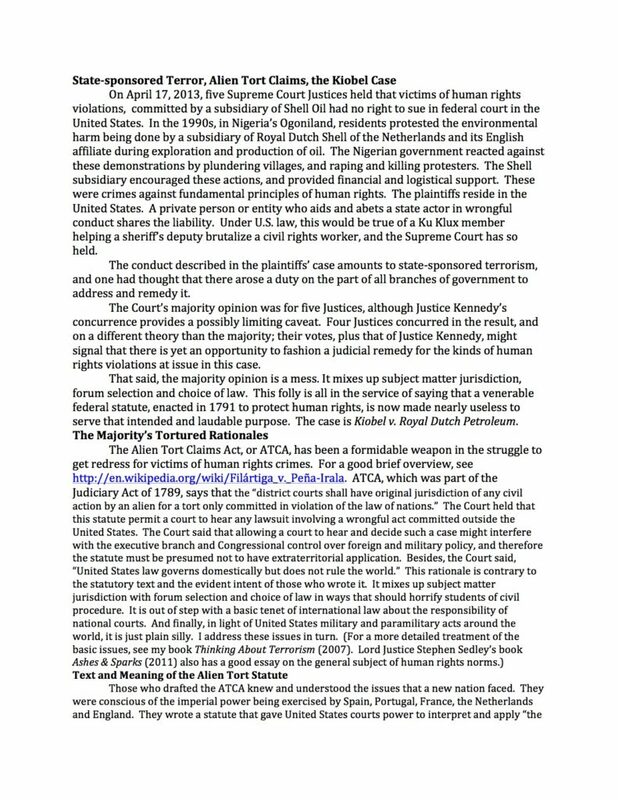 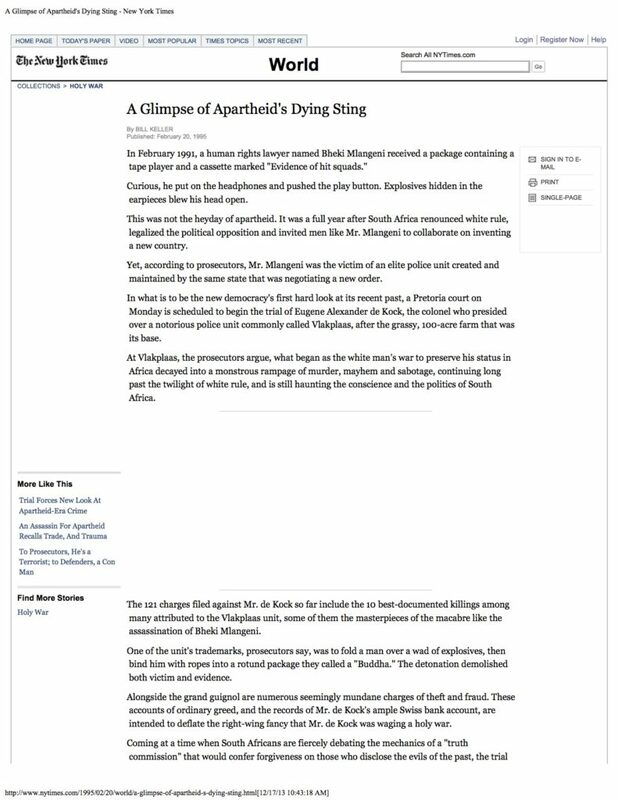 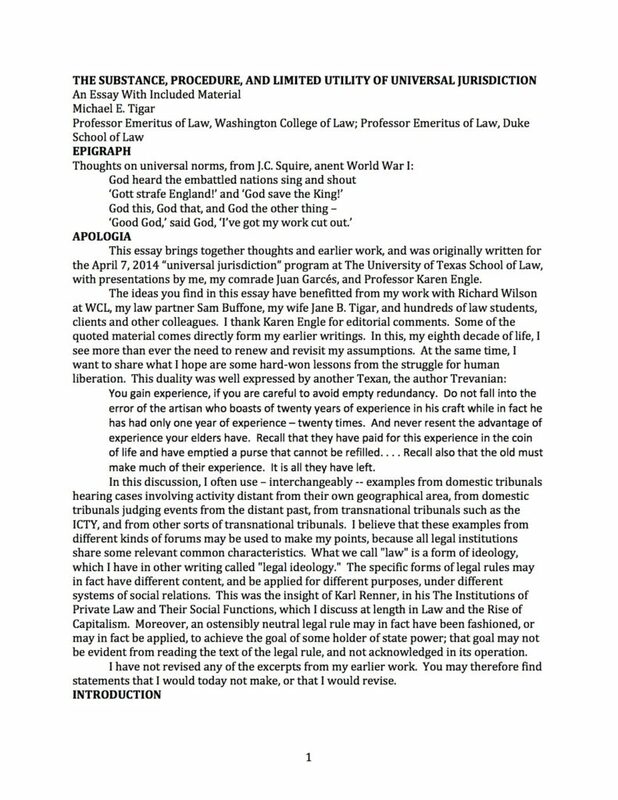 This section includes items from much of Tigar’s human rights practice. 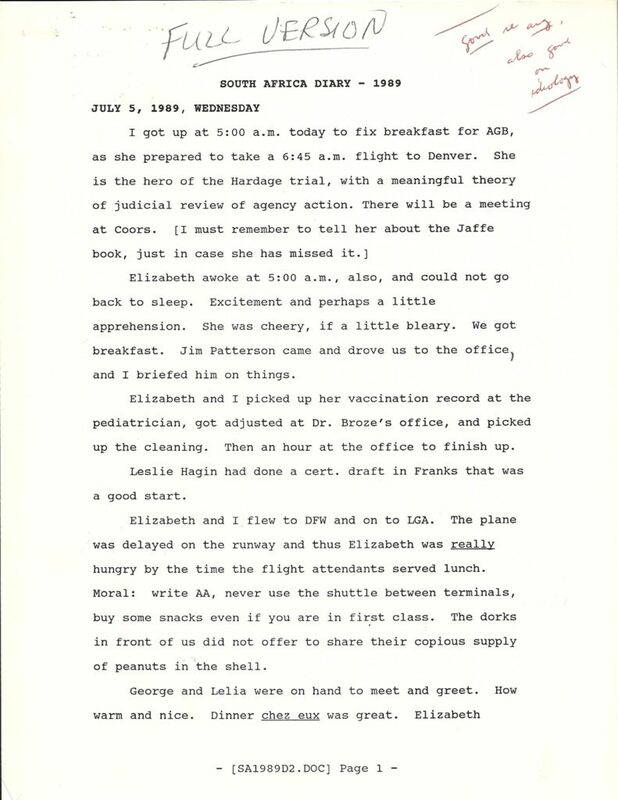 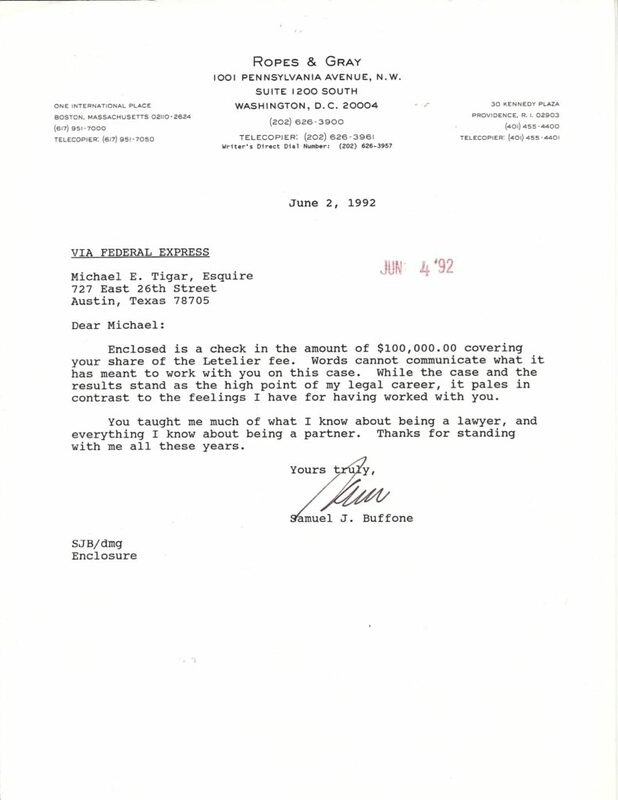 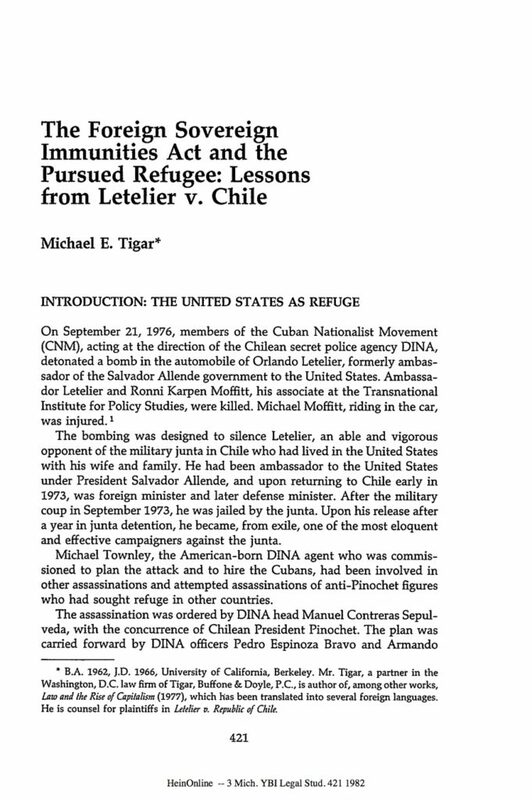 Several documents, for example, relate to his successful civil suit against the Chilean government for the 1976 assassination by car bombing of former Chilean Foreign Minister Orlando Letelier, a leading opponent of Pinochet, and his American colleague, Ronni Karpen Moffitt, in Washington, D.C. Also included are journals, audio recordings, and other materials related to his work in South Africa during apartheid, when he trained lawyers for the African National Congress and the Black Lawyers Association. 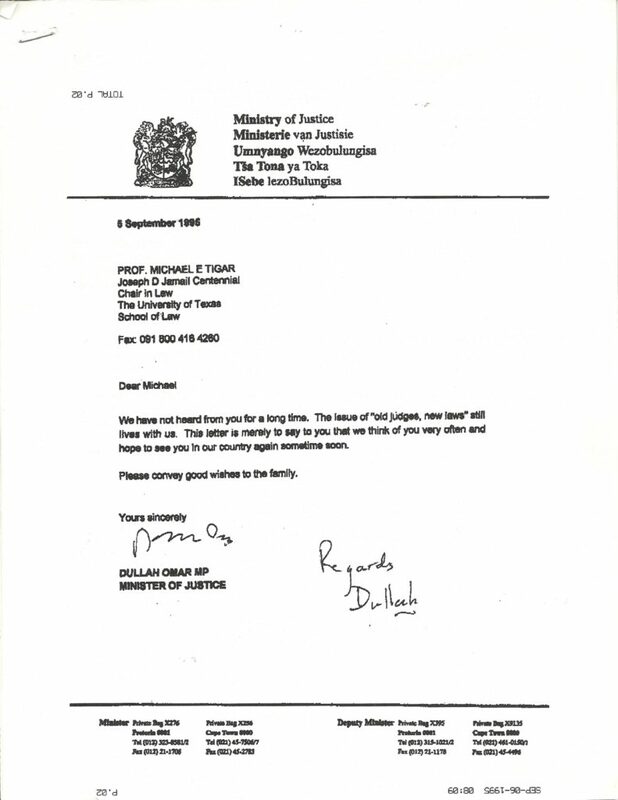 There is a foreword written by Tigar to Island of Shame, a book by David Vine on the Chagossian people; Tigar has been counsel to the Chagos Refugee Group in advocacy in the United Kingdom, the US, and Mauritius. 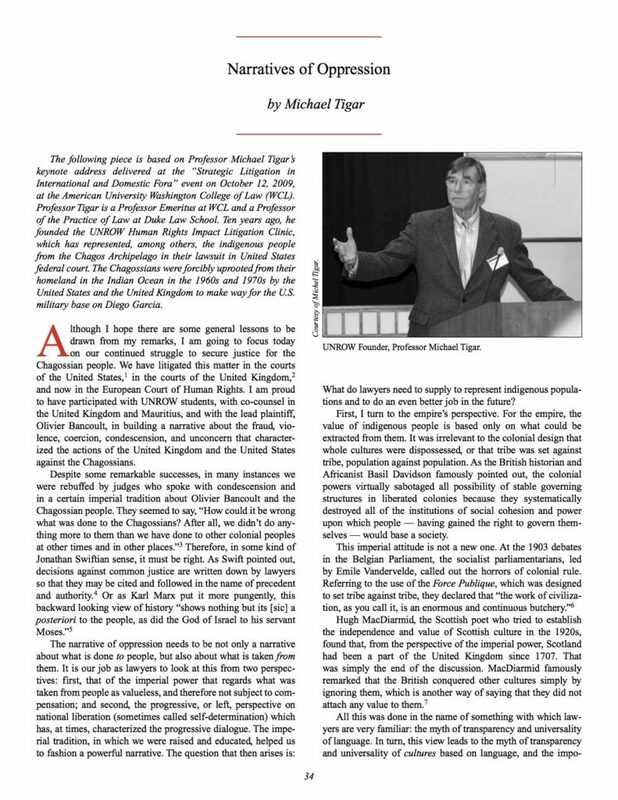 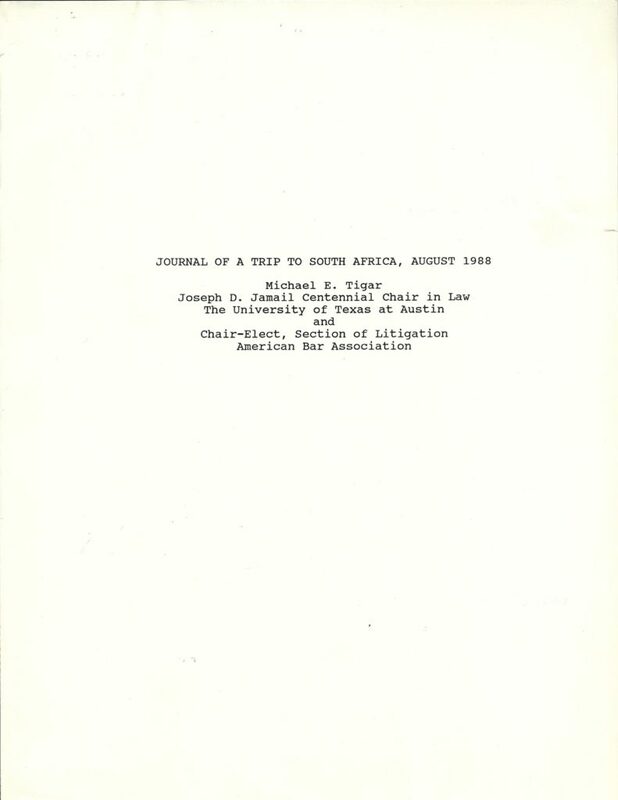 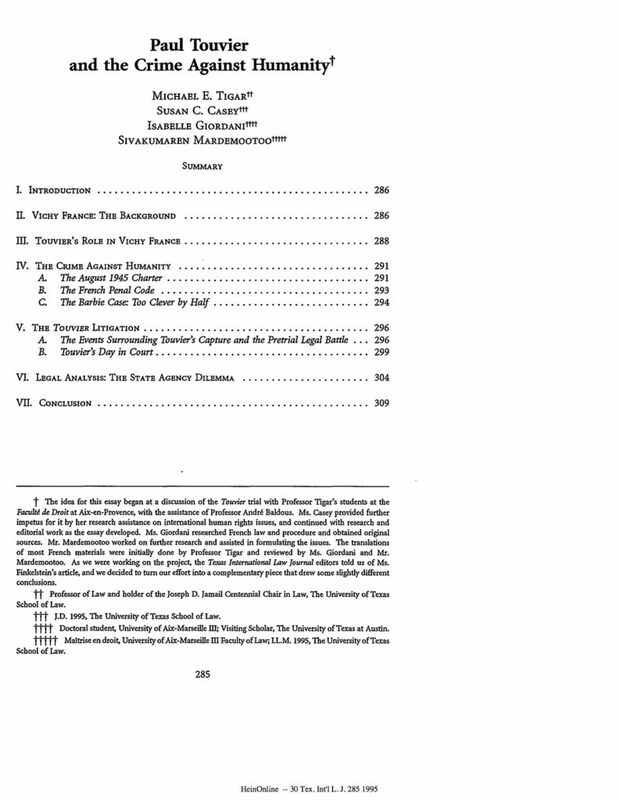 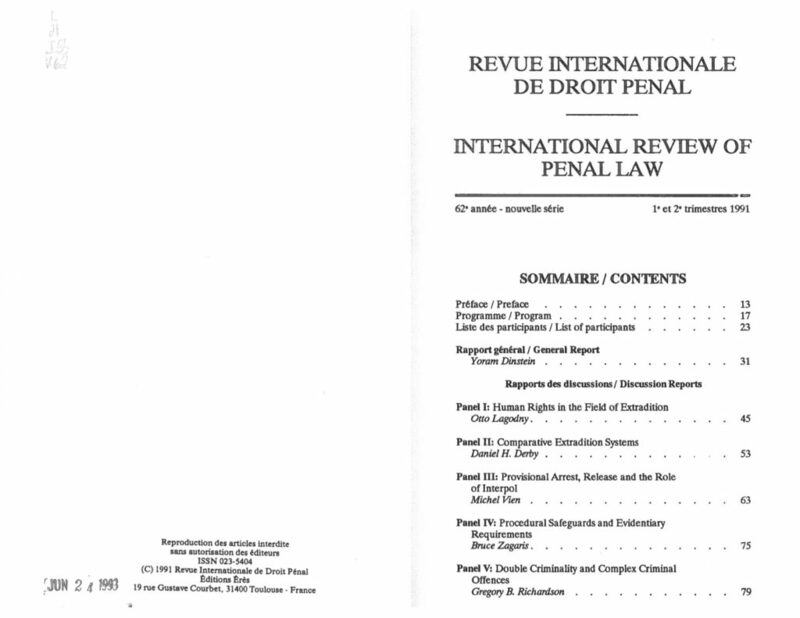 The section also contains a number of book reviews and articles by Tigar on the history of international law and human rights. 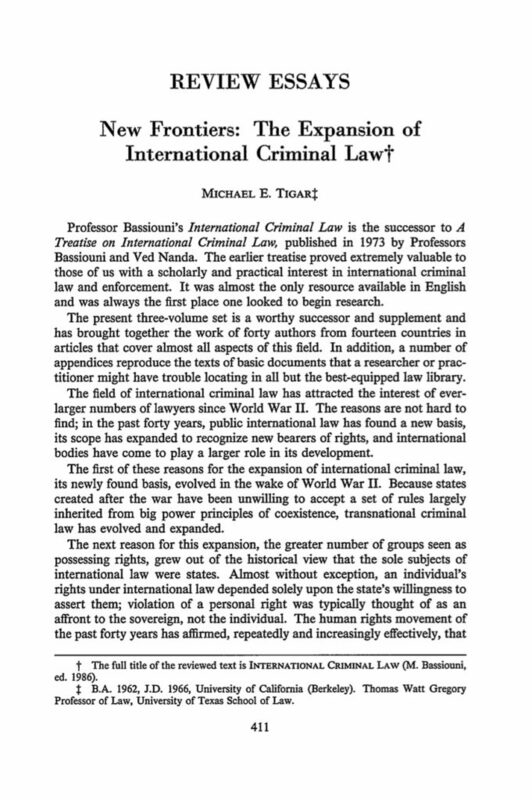 We have included some of his writings on international criminal law, as well as on criminal law and procedures in other countries, in this section as well. 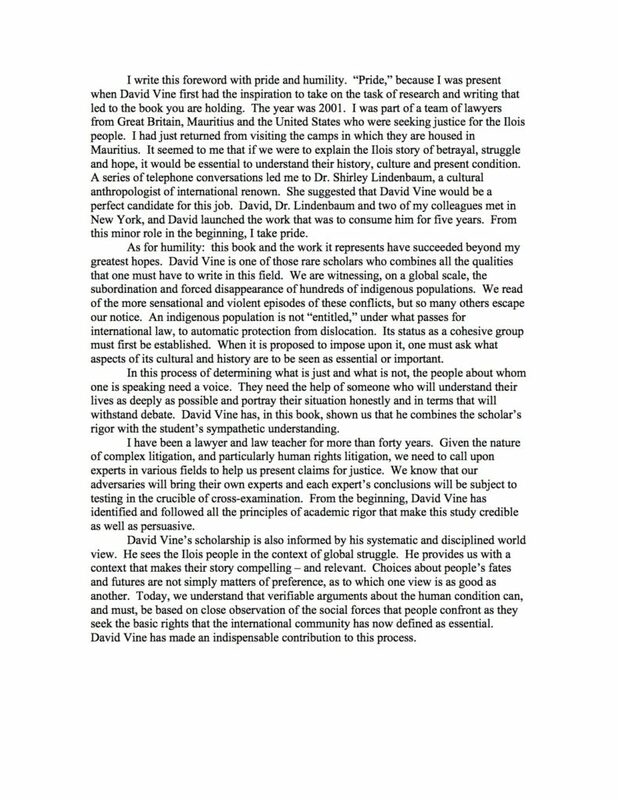 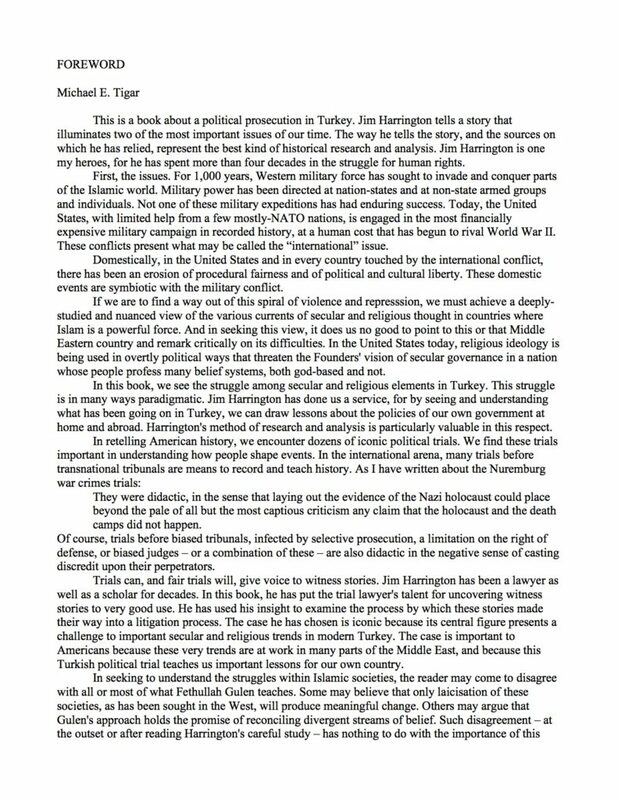 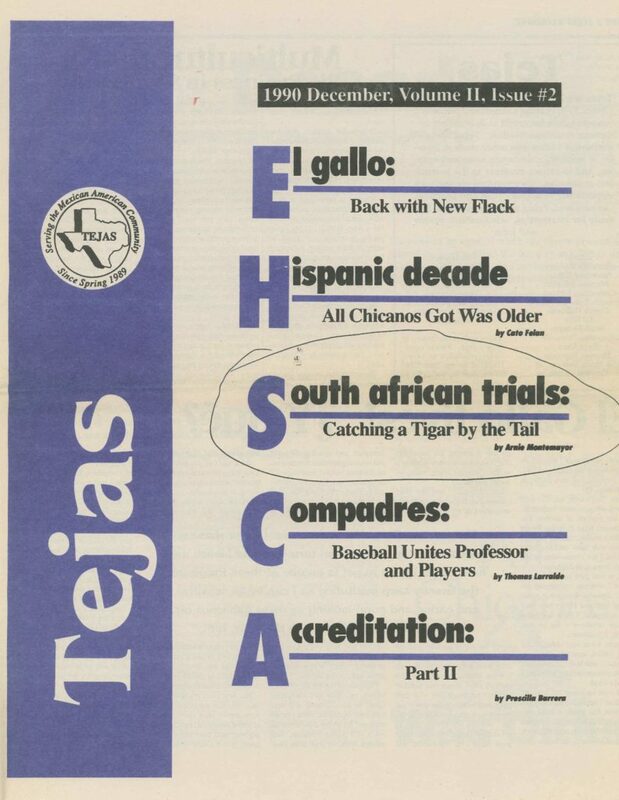 Here also is a piece he wrote about his controversial defense of John Demjanjuk. 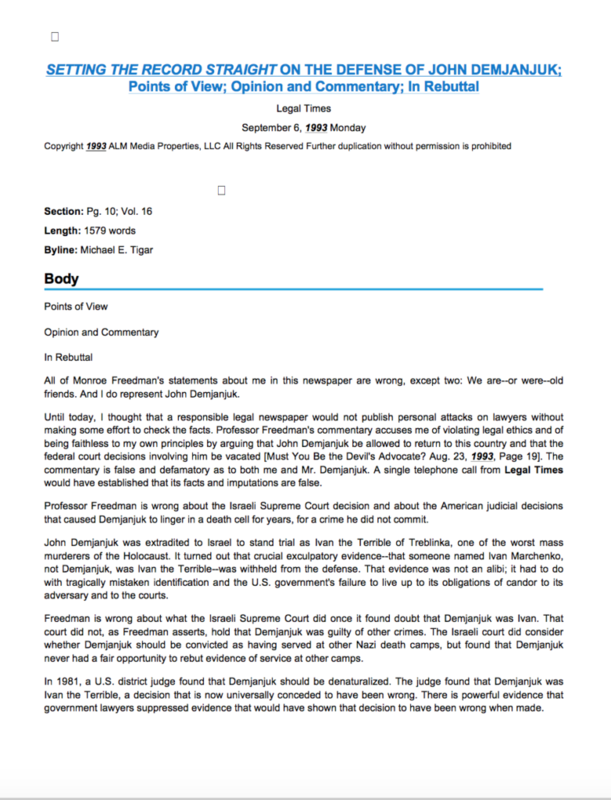 (For more on Demjanjuk, see items in Procedure). 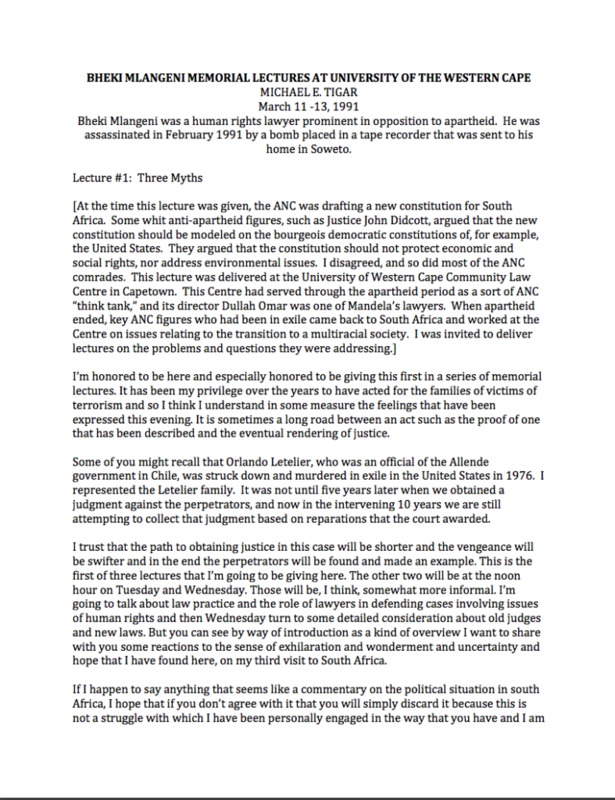 Oral History Why Are You Doing Human Rights Litigation?